KIKWIT, DR Congo, Mar 4 2018 (IPS) - The numbers are hard to fathom. Nearly two million people driven from their homes in 2017 alone. The worst cholera epidemic of the past 15 years, with over 55,000 cases and more than 1,000 deaths. Countless others killed, maimed or sexually assaulted. 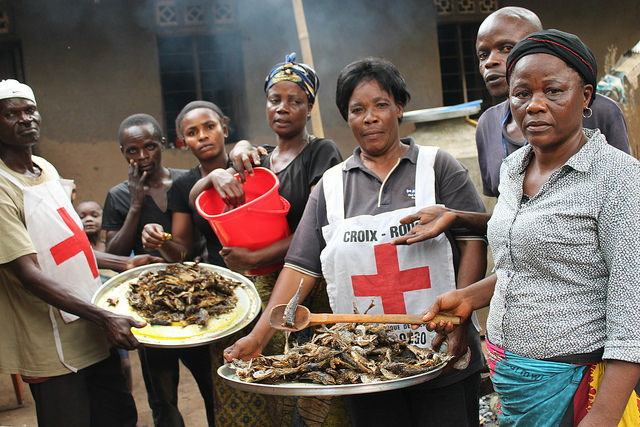 The human costs of the ongoing crisis in the Democratic Republic of Congo are borne disproportionately by women and children, whose homes have been pillaged and burned, who are not in school and thus vulnerable to soldier recruitment, and who have now been left with almost nothing. Charlotte Ukuba, 60, fled to Site Etat at Kikwit, Kwilu Province in the southwest of DR Congo. Her eldest daughter is suffering from malaria. ‘’There are no drugs for this girl. I’m calling for help,” she added. Violence broke out in Kasai in August 2016 following the uprising of local militia in Kasai Central. The crisis has been characterized by repeated clashes between militias and local security forces, which have subsequently generated inter-community conflicts. Another displaced woman named Rose Thimbangula died at the age of 47 on Feb. 14 in Nzinda commune in Kikwit. The cause of death was tuberculosis complicated by fistula due to sexual violence. She had no money for medicine. Dressed in a long black dress, Marie Ntumbala, 37, sleeps on the floor of a small room in Mweka, Kasai province. She is originally from a village called Tutando, 150 kilometers from Tshikapa, but was forced out by conflict. Ntumbala was fortunate enough to be taken in by a local family. But she says she is still living on the edge. “When I’m ill, I can’t go to the hospital because I’m penniless. The Congolese government must help all the displaced persons in our country,” she said. 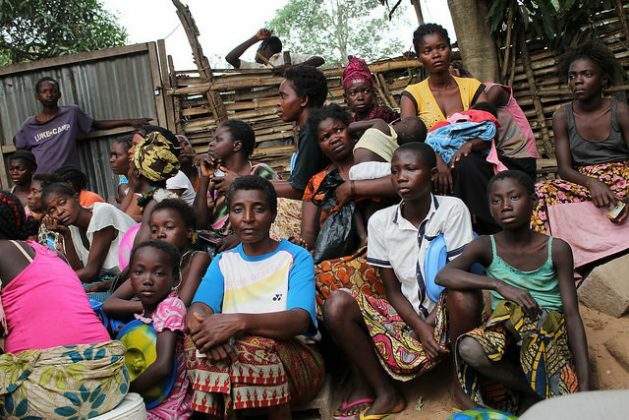 DR Congo has some 4.5 million internally displaced people, the largest number in Africa. Elections scheduled for 2017 were postponed to the end of this year, as political instability and clashes between soldiers and militias continues to escalate. An estimated 120 armed groups are operating in eastern DR Congo alone. Humanitarian actors launched the largest ever funding appeal for the country this year, asking for 1.68 billion dollars to assist 10.5 million people. Only half of the 812.5 million dollars appealed for in 2017 was funded. Brigitte Kishimana is 28 years old and six months pregnant. She lives at the Moni Site in Kalemi, Tanganyika province in the southeast. ‘’I need prenatal care,” she said. “Several other pregnant women at the sites need it too. If not, their lives will be in danger. Last year, four displaced women died during pregnancy or childbirth,” she told IPS. Georgette Bahire, a 45-year-old farmer in Sud-Kivu province, fled Lulumba village on June 29, 2017. Fighting between government soldiers and the Mai-Mai, an armed group, drove her from her land. She was taken in by a family in the city of Kibanga. “Humanitarian workers helped us in 2017 with food and some drugs. But the needs are still great,” she said. Since the beginning of this year, armed conflicts have continued to plague the country, particularly in the areas of Rutshuru, Masisi, Walikale, South-Lubero and Beni. The gradual withdrawal of humanitarian aid workers from these areas has amplified the vulnerability of people affected by the humanitarian crisis, the International Organization for Migration (IOM) said in a September 2017 report. 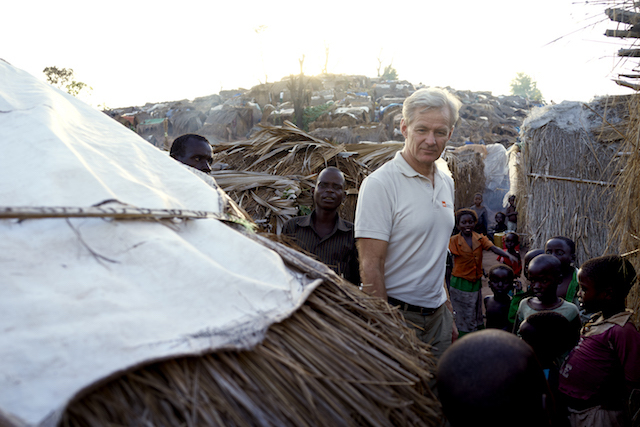 Egeland called on the international community to prioritize the humanitarian crisis in DR Congo and step up their efforts to help the 13.1 million people in need of assistance. IOM is working to provide durable solutions for 5,973 IDP households in the North-Kivu province. ‘’Currently, IOM is helping 77 displaced women suffering from fistulas caused by sexual violence,” IOM Programme Officer Jean-Claude Bashirahishize told IPS. “In 2017, IOM received 205 cases of sexual violence in 12 sites,” he said, adding that cultural taboos made it difficult for women to talk about what had happened to them. IOM helps victims of sexual violence get economic assistance, but also to train in livelihood activities so they can become self-sufficient. ‘’Insecurity is the greatest barrier to IOM accessing areas where armed groups are fighting government military forces,” Bashirahishize added. In October 2017, the Congolese government and FAO helped more than 20,000 internally displaced persons, of whom about whom 70 percent were women and children at Kikwit, Kwilu province. But the situation is growing increasingly dire. ‘’Farmers who fled due to conflict have missed three consecutive planting seasons. This has left people with almost nothing to eat. Food assistance is failing to fill the gap. Only 400,000 out of the 3.2 million severely food insecure people in Kasai received assistance in December. More than 750,000 are still displaced,” FAO, UNICEF and the World Food Programme (WFP) warned in a statement. ‘’IDPs have rights that need to be respected by the government and other authorities in the country. The Congolese Constitution claims that human life is sacred,” Valentin Mbalanda, a human rights activist in DR Congo, told IPS. The European Commission, United Nations, and Dutch government will co-host a pledging conference in April. Jan Egeland said that international donors must give the same attention and priority to DR Congo that they do comparable crises around the globe. “That means they must put their muscle and weight behind a successful donor conference and fulfill any pledges made. Donors must also look at needs on the ground and not just the bottom line. The DR Congo crisis of 2018 is not what is was in 2000 or 2005,” he said.